You might be wondering why mess with the perfectly good confection Mr. Reese has going on? I'll give you a few reasons. First, you can control every single ingredient (who cares if people call us control freaks?) 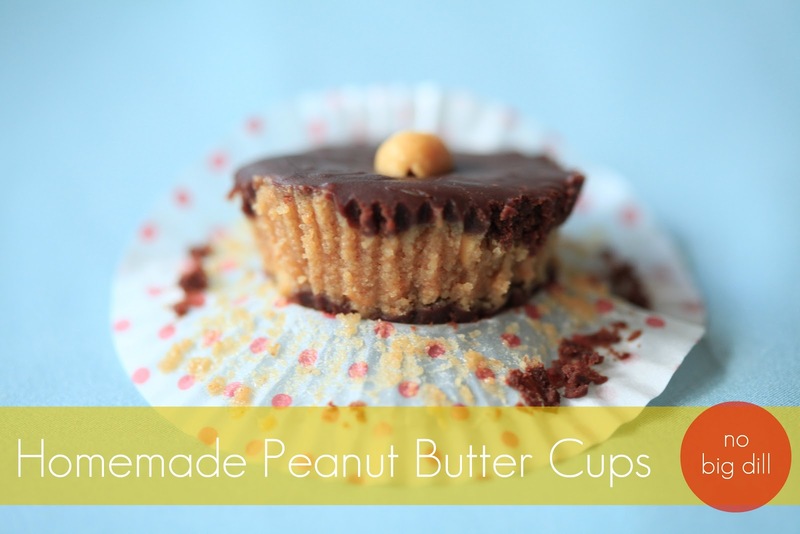 Secondly, you can use your favorite brand of peanut butter, or even make your own. 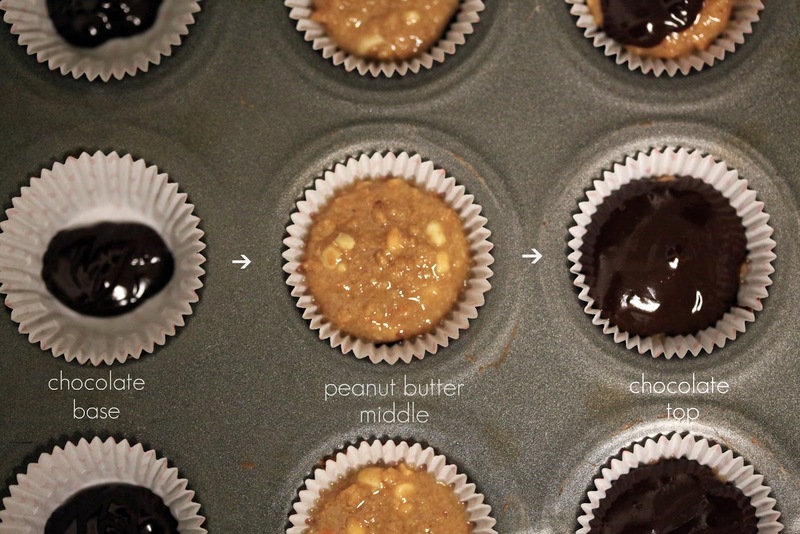 Thirdly, you can control the peanut butter/chocolate ratio (are you on the nutty side?) Fourthly, you can use your deepest, darkest, richest chocolate, and be 100% confident it's going for a good cause. 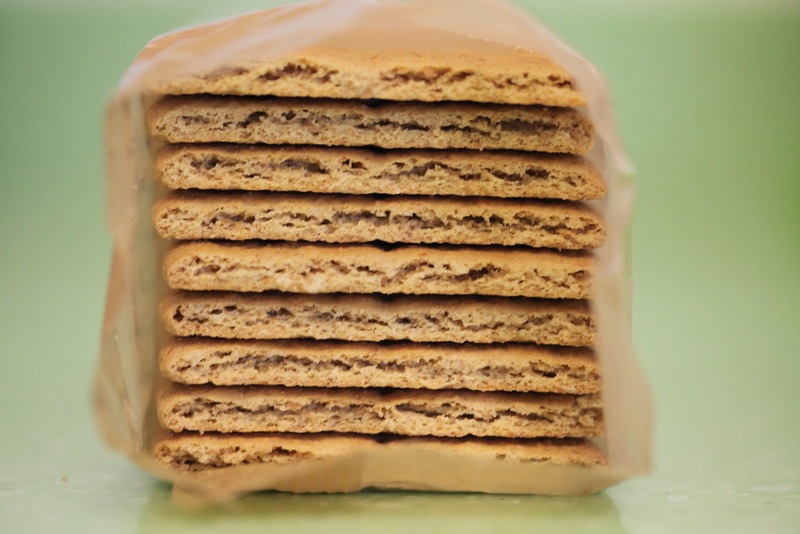 Graham Crackers: little extra crunch to your peanut butter cups. In fact, Ryan said, mmm, what's that bit of extra crunch? Told you. 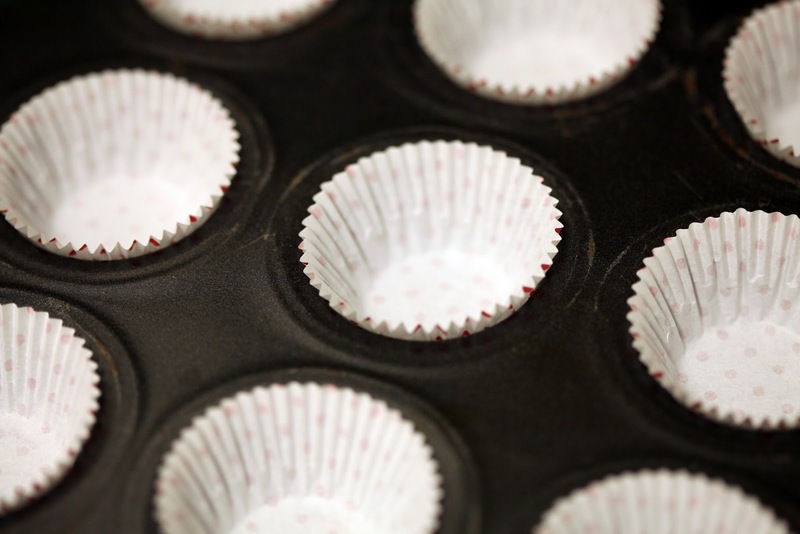 Place cupcake liners in a pan. I used mini liners and they were the perfect size for us. Melt butter in a pan, add peanut butter, graham crackers, sugar. Mix until incorporated. Melt chocolate over low heat and add milk. Spoon a small amount of chocolate in the bottom of each liner. Shake gently to even out. Add desired amount of peanut butter mixture, top with more chocolate and shake gently again. Top with a nut if desired. Refrigerate until set. The only drawback I found was these need to be refrigerated to easily peel the liner off. But, then you can keep a stash there and grab one as you take a deep breath, staring into the fridge, deciding what you should make for dinner, just before what I call "crazy hour" when Ryan isn't home yet, everyone is cranky, yet there's still homework to do, baths to take, papers to sign, and lunches to make for the next day. Yes, that's when you pop one of these in your mouth to take the edge off, and crank dinner out, sign papers as you stir, help with homework between checking the oven goodies. Just don't breathe on anyone, or they'll suspect. And do you know what else I'm thinking? 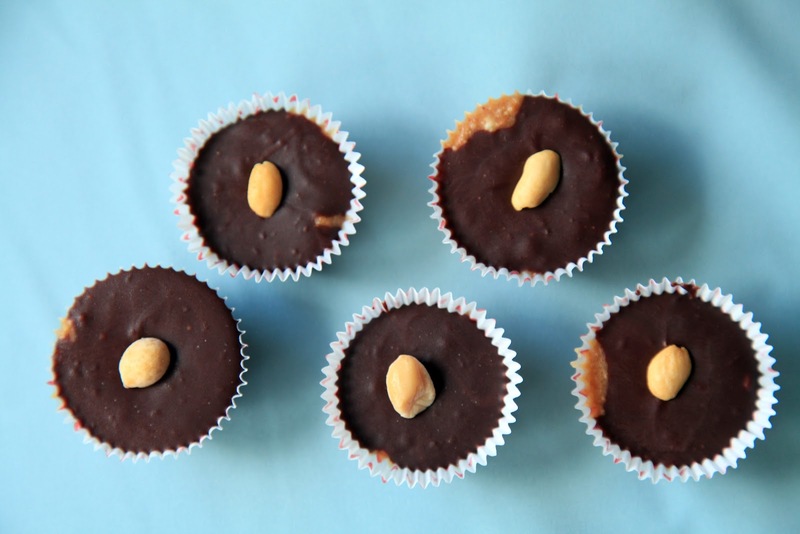 Almond Butter cups! Or what about cashew?! Or a medley of all three, with the nut on top to differentiate! So tell me, what's the love/hate ratio going on? Sounds like I'll need to keep a stash of these in the fridge while Jamie is off in Afghanistan for a year. Oh good grief! The Husband and I were talking about these only yesterday. Now I've got no excuse not to make him some. Sigh! umm hate is such a strong word how about Dispise you for not sharing this sooner, love you for spilling the recipe now! 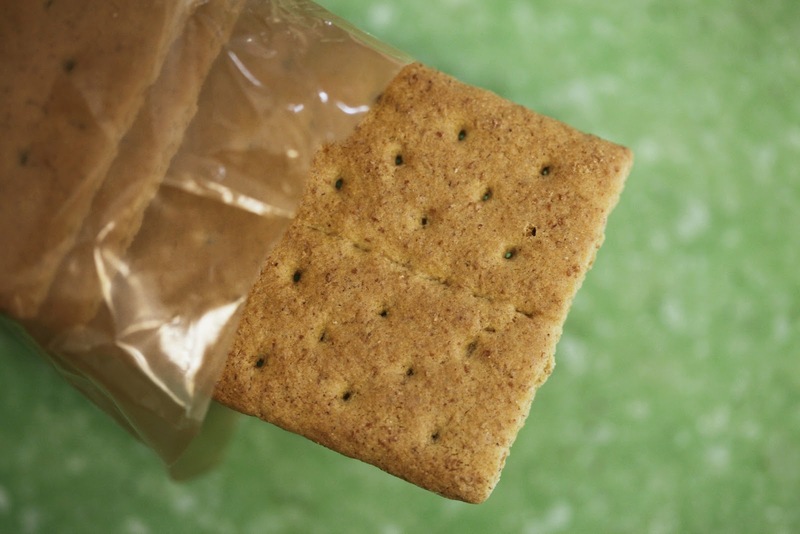 The graham crackers sound fun. 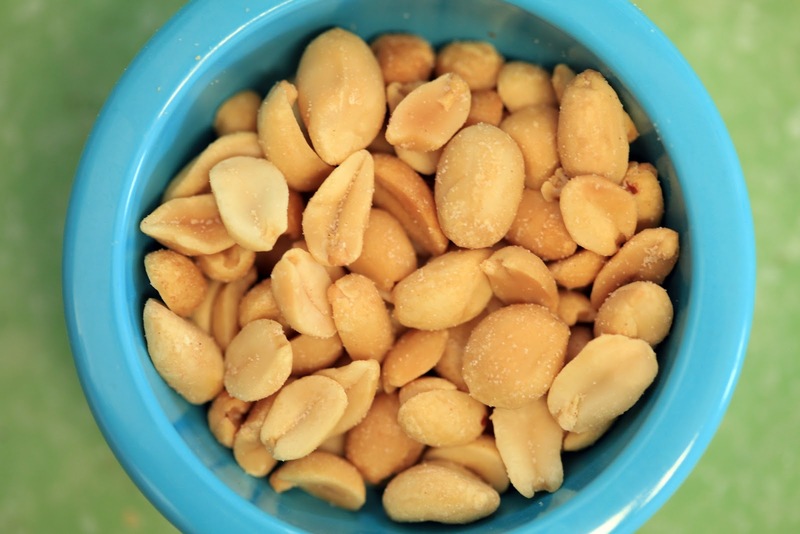 2/3 of my kids have peanut allergies -- ugh! I'll have to make some for my husband and myself and hide them! 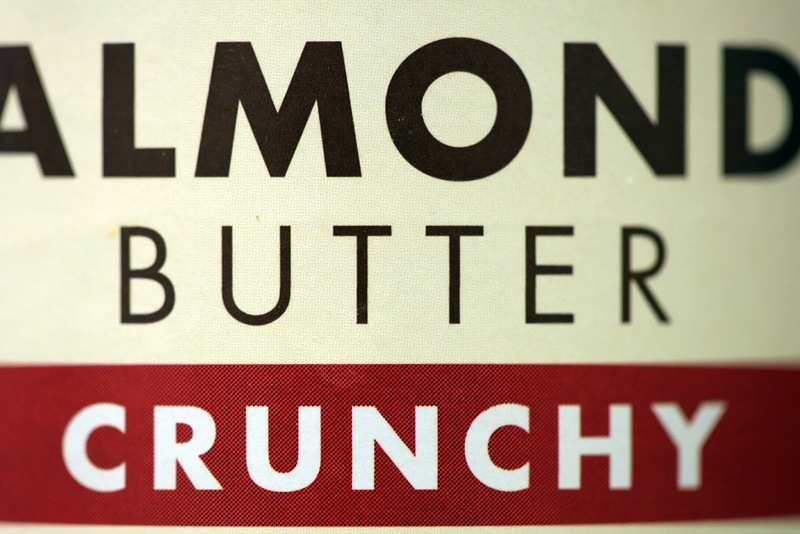 Or, I can make with Sunbutter (sunflower seed butter). Thanks for sharing!! YUM! I used to make these all the time, only I did balls and diped them in the chololate! mmmmm peanut butter balls! So crazy addictive! Cath--you're so right. and you're welcome. mom23--yes, that's ONE of the great reasons to make these--you can customize to your family's allergies/likes/dislikes! I love these! My husband doesn't care for chocolate and peanut butter together, so I would not have to share. My son would like them, BUT... if I put the nut on top, he might not (he thinks he doesn't like nuts), so depending on whether I wanted to share... I could include the topping or not! I LOVE YOU!!!! i especially love the not breathing on your kids when you sneak them while making dinner. I have to do that all the time!! 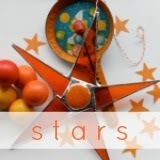 i am definitely making these soon! :) thanks! Oh my...this is just too good looking to not try! I love your photography Katy. So beautiful. And I vote for cashews! Yum! I laughed at your breathing comment. I do that a lot. :) Reid almost always catches on. That kid doesn't miss much. "Can I have some of your treat?" Darn it. My mouth says love...my jeans, well, they're tipping toward the hate side of the scale. You see, my jeans blame all of their problems on peanut butter and chocolate! Love love love! Just hate that I don't have time to make them right this very instant. i love you, i really love you. yum, yum, extra yum! a bit of hate because I'm eating clean right now, but I'm pinning this! It's nice to know I'm not the only one who has to deal with "crazy hour." Um... No haters here, all love. :) Thanks for this! hate: that I can't have one right now! I just want you to know that you are a bad person. Also MACADAMIA CUPS! You are so right. Children always smell chocolate on your breath. And my little one knows salty chips and lollies by smell also... I have no idea how that happened. My favorite candy bar home made? That sounds like heaven. Did you know I tried not to breathe on you at times? oh I love these! totally amazing.....just made them today. sooo delish.